Downing Street hinted that additional money could be made available to former mining communities as part of a programme of “national renewal” after Britain leaves the EU. 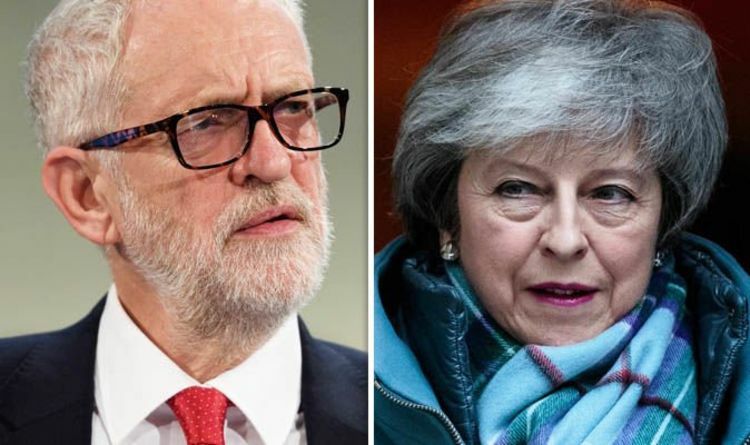 And while Number 10 has insisted the funding was not part of a “cash for votes” plan, reports suggest Tory whips are preparing to target a group of around 20 Labour MPs who they believe could be persuaded to support the Prime Minister’s deal. Labour today reacted angrily, with Jeremy Corbyn warning his MPs against backing the Government on Brexit and David Lammy branding would-be rebels “cowards and facilitators”. Bassetlaw MP John Mann, a staunch Corbyn critic and one of 14 Labour MPs who defied party orders to vote with the Government this week, said: "Show us the money. But other MPs from constituencies in the North were less receptive, with Wigan's Lisa Nandy warning any attempt to woo her would be pointless. She said: "Nobody from Government has approached me about this but if they did I would tell them there's no point investing in towns if they're taking us down a route that destroys jobs, wages and workers' rights. And Wirral South's Alison McGovern said: "The fact is, it will be a lot easier to invest in the coalfield areas and other towns if we stay in the EU." Some 14 MPs voted on Monday against the Labour whip to oppose an amendment by Yvette Cooper which would have paved the way to delay Brexit, with 11 more abstaining. The Times reported last night that Downing Street hopes to convince Labour MPs representing Brexit-backing constituencies to vote for her deal. This could potentially offset the number of pro-EU Tory MPs who would likely vote against the Government. A well-placed Government source told the paper: “There’s a willingness to look again at coalfield communities and make good the promises that former Labour governments failed to deliver. “It’s about allowing Labour MPs representing Brexit communities to show that they have extracted something tangible in return for their vote. But while Downing Street today acknowledged there could be cash provided as part of a post-Brexit “programme of national renewal”, a spokesman insisted the proposed money was not in exchange for support. Asked if the funding was "cash for votes", he said: "I absolutely wouldn't characterise it like that."